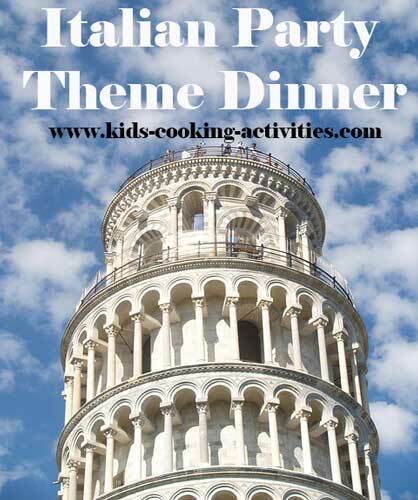 Try an Italian party theme dinner for a fun international night. Dress up your table with a red and white tablecloth or, if it is nice weather, decorate a table outside. You could use tall candles and eat by candlelight. Don't forget to include fresh bread and fresh grapes for a nice centerpiece. Place slices of bread on a cookie sheet and drizzle or brush each slice of with olive oil. Toast bread slices in oven at 450 degrees for 5 minutes or until toasted. Meanwhile, chop tomatoes and pepper finely or use a food chopper. Add salt and pepper, basil and garlic. Stir to combine. 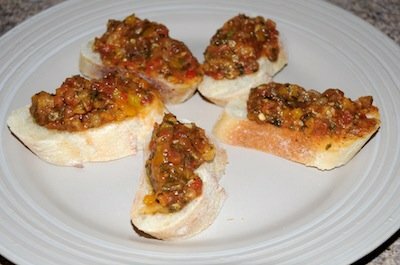 Top each toasted bread with vegetable mixture right before serving. 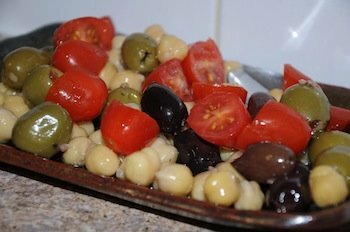 In a serving dish, add olives, drained garbanzo beans and tomatoes. Drizzle with olive oil and balsamic vinegar. Add in a dash of salt and pepper. Stir in minced garlic. Toss to coat. * Substitute any beans or type of olives you like. In a large skillet add remaining oil. 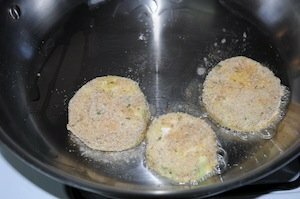 Fry eggplant slices in oil until browned on each side. Drain on paper towel. In a baking dish cover a layer of tomato sauce on the bottom. 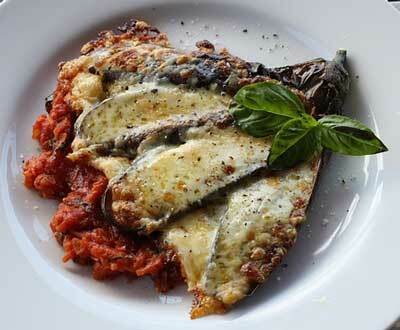 Top with a layer of eggplant slices, Parmesan and mozzarella cheese. Continue layering in the pan. Top with mozzarella cheese and bake at 350 degrees for 30 minutes. *If desired substitute jarred spaghetti sauce with the tomatoes, tomato paste, basil, salt and pepper and no need to simmer. An Italian dinner night wouldn't be complete without some form of pasta! 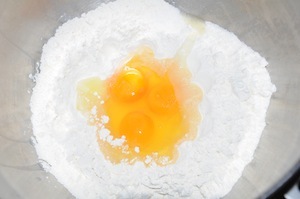 Add flour to mixing bowl and add a well in the middle and add eggs. Add olive oil and water and mix together until it forms a nice dough. Take it out of the mixing bowl and knead 5 minutes. Wrap dough in plastic wrap and let rest for 30 minutes. 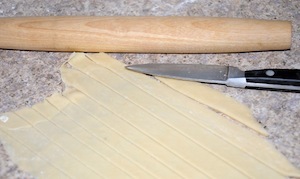 To form into noodles we used a pastry cutter, however you can roll the dough out with a rolling pin and cut into strips for fettuccine noodles as well. 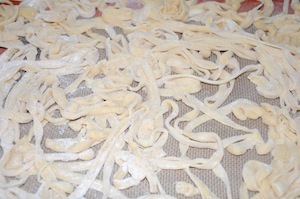 Place cut noodles on a cookie sheet and sprinkle flour over the top. Let dry several hours until cooking. 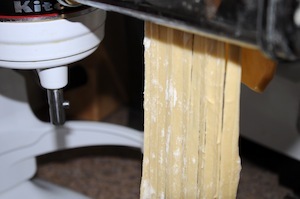 Gently separate noodles occasionally with your fingers. When ready to cook bring a large pot of water to boil. Add noodles and cook 5-10 minutes. Taste test to see if they are the done. 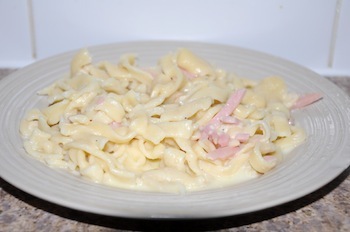 Toss noodles with tomato sauce or Alfredo sauce. Any of our recipes on our Italian cooking lesson page would go well for this theme.